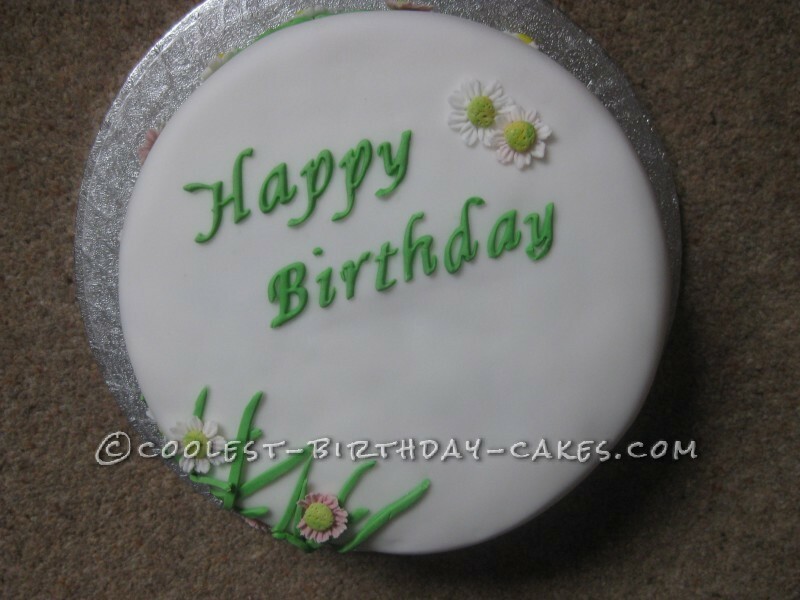 This cake is a 10 inch basic Victoria sponge covered with white fondant icing. 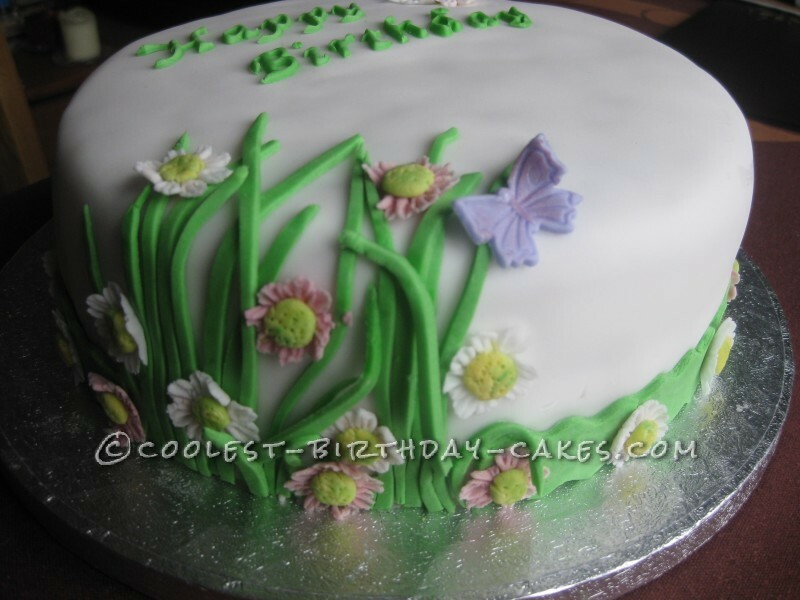 The daisies and leaves are also made from fondant icing with edible colourants and are cut out with a small daisy plunger cutter and left to dry until easier to handle without breaking as they are very delicate. 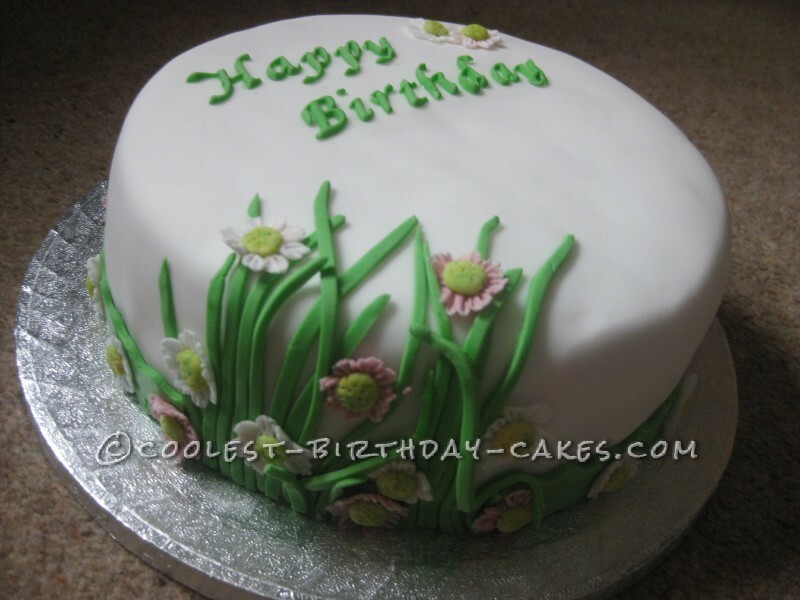 The centers are made from yellow and green fondant icing mixed together to make a variegated look and then I used a cocktail stick to make the tiny hole indent.